I’ve finished checking the proofs, the index is done, and now the lovely pink front cover design has even been joined by a lovely pink back cover design! Yes hurray! 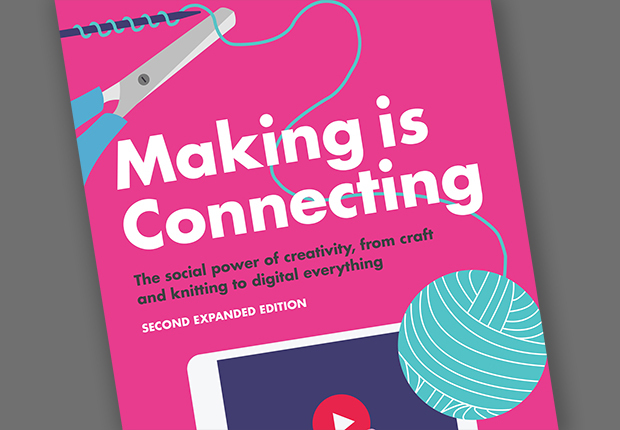 I am very pleased that the new, remade and transformed Second Expanded Edition of ‘Making is Connecting’ will soon be with us. Cover design by Simon Levy for Polity. The book is published on 20 April 2018 (UK/Europe) and 1 June 2018 (US/Canada). I am pleased that Polity continue to sell their books at reasonable prices (which is one of the many great things about them). Basically the new book costs the same as five lattes in your favourite Starbucks-type coffee emporium. Which I hope you will agree is reasonable.